Here is it, after months of rumors and speculations Samsung has finally unveiled the Galaxy S5. As expected Samsung has packed the S5 to the brim with the latest hardware including a 5.1 inch Full HD 1080o display, 2.5 GHz Quad-Core Snapdragon 801 (one of the first phones with the Xperia Z2), Adreno 330 GPU, 2GB of RAM, 16/32GB of Internal storage expandable by up to 128GB via microSD card, Wifi 802.11 ac with MIMO (2x2), USB 3.0, IP67 Water and Dust Resistance, 16MP Camera with 4K recodring capabilities, Heart Rate Monitor, Figerprint Scanner Home Button, LTE Cat. 4 Capabilities (150/50mbps), 2800mAh battery and Android 4.4.2. In terms of the looks, the Galaxy S5 looks very much like the S4 from the front but in the back you see a drastic change as Samsung forgoes the glassy hyperglaze of the S4 and like the Note 3 opts instead for a leather like plastic textured back that is surprisingly reminiscent of the original Nexus 7. We've also gotten word from our friends at Samsung that the Galaxy S5 will be available in Canada (presumably in April like the rest of the world) from Bell, Eastlink, Fido, Koodo, MTS, Rogers, SaskTel, TELUS, Videotron, Virgin Mobile and WIND Mobile (noticeably absent is Mobilicity). The Galaxy S5 will come in Black, White, Blue and Gold although we don't think all the colours will be available in Canada at launch. We also expect carrier specific exclusive to be announced later like with the S III and S4. Check out the full press release and press images after the break. Barcelona, Spain, February 24, 2014 - Samsung Electronics today announced the fifth generation of the Galaxy S series, the Galaxy S5, designed for what matters most to consumers. 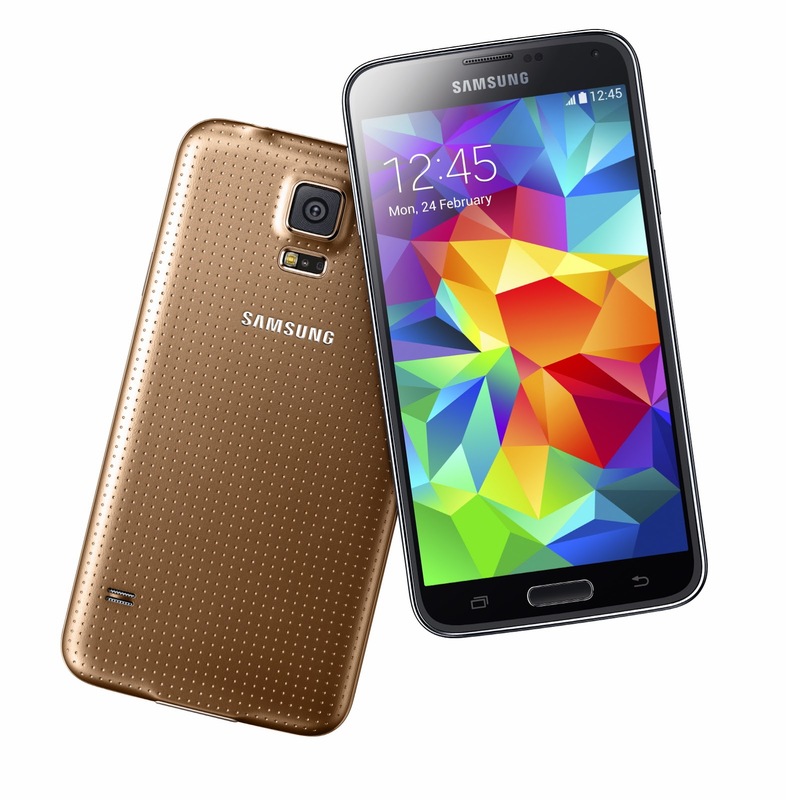 The new Galaxy S5 offers consumers a refined experience with innovation of essential features for day-to-day use. Capturing and saving precious memories is one of the most important smartphone features today. The new Galaxy S5 offers superior camera functionality, featuring a 16 megapixel camera with an enhanced menu and user interface that allow consumers to effortlessly take, edit and share photos. The Galaxy S5 offers the world’s fastest autofocus speed up to 0.3 seconds and the advanced High Dynamic Range (HDR), reproduce natural light and color with striking intensity at any circumstances. Also new Selective Focus feature allows users to focus on a specific area of an object while simultaneously blurring out the background. With this capability, consumers no longer need a special lens kit to create a shallow depth of field (DOF) effect. The Galaxy S5 offers the most advanced LTE experience and Wi-Fi performance available today, ensuring blazing fast data speeds for unrivaled media consumption and productivity. The Galaxy S5 supports the fifth generation Wi-Fi 802.11ac and 2X2 MIMO, and supporting the large number of LTE frequency with LTE Category 4 standard. For consumers seeking an even faster connection, the Galaxy S5 now features Download Booster, an innovative Wi-Fi technology for boosting data speed by bonding Wi-Fi and LTE simultaneously. No matter where a consumer is, the Galaxy S5 will help ensure they have the fastest available connection. With the enhanced S Health 3.0, the new Galaxy S5 offers more tools to help people stay fit and well. It provides a comprehensive personal fitness tracker to help users monitor and manage their behavior, along with additional tools including a pedometer, diet and exercise records, and a new, built-in heart rate monitor. Galaxy S5 users can further customize their experience with an enriched third party app ecosystem and the ability to pair with next generation Gear products for real-time fitness coaching. The Galaxy S5 blends iconic Samsung design with modern trends to appeal to a range of consumer tastes and interests. 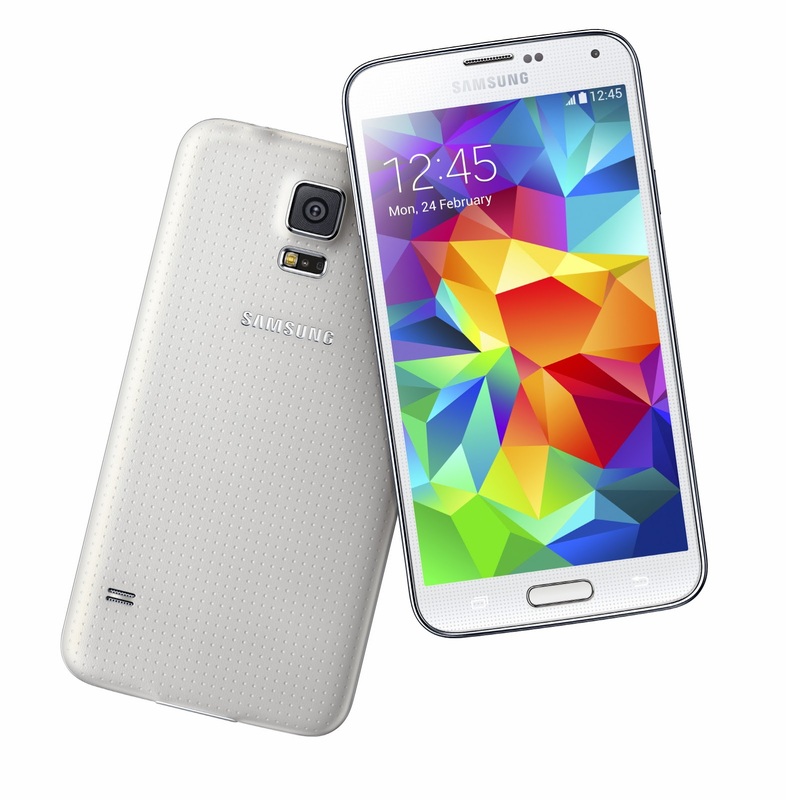 The Galaxy S5 features a perforated pattern on the back cover creating a modern glam look. Its new sleek, contoured shape comes in an array of vivid colors, including charcoal Black, shimmery White, electric Blue and copper Gold, to complement the style of the individual consumer. The Galaxy S5 is IP67 dust and water resistant. It also offers a Finger Scanner, providing a secure, biometric screen locking feature and a seamless and safe mobile payment experience to consumers. The Ultra Power Saving Mode turns the display to black and white, and shuts down all unnecessary features to minimize the battery consumption. The device will be available globally through Samsung’s retail channels, e-commerce and carriers on April. Photos and further information can be found at www.samsungmobilepress.com. ＊ All functionality, features, specifications and other product information provided in this document including, but not limited to, the benefits, design, pricing, components, performance, availability, and capabilities of the product are subject to change without notice or obligation. ＊ Android, Google, Chrome, Drive, Photos, Gmail, Google, Google+, Google Settings, Hangouts, Maps, Play Books, Play Games, Play Newsstand, Play Movie & TV, Play Music, Play Store, Voice Search, YouTube are trademarks of Google Inc.